How much is Mike Golic Worth? Mike Golic Net Worth and Salary: Mike Golic is an American television sports anchor who has a net worth of $20 million. 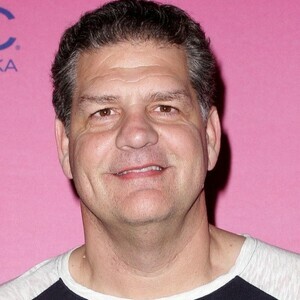 Mike Golic is most famous for being a co-host of ESPN Radio's Mike and Mike show and as a former defensive lineman for both Notre Dame and in the NFL. Golic joined ESPN in 1995 as a reporter/analyst for Sunday NFL Countdown. In 1998, Golic and Mike Greenberg began hosting the Mike & Mike show on ESPN radio. In 2006 the show began simulcasting on ESPN2 TV. One of the most popular segments on Mike & Mike was the annual "Sheet of Integrity" wager which was a bracket wager based on the NCAA Men's Basketball Tournament. 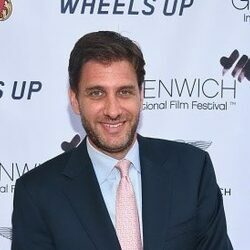 The bet originated after Golic said he intended to enter a massive number of sheets into different pools to win the money from ESPN while Greenberg's strategy involved picking with integrity, and he insisted that any entrant should only be required to enter their "Sheet of Integrity" once. The pair made a bet that involved the loser having to perform an embarrassing stunt on air. In the first year Greenberg won and Golic had to have an eyebrow wax on the air. Mike & Mike ended its run in 2017. Mike followed up with a new show called Golic and Wingo. Mike Golic was born on December 12, 1962 in Willowick, Ohio. He attended the University of Notre Dame where he majored in finance and management. While at Notre Dame he was the captain of the football team during his senior year. He was drafted by the Houston Oilers in the 1985 NFL Draft. He played in the NFL for 8 years. Golic currently lives in Avon, Connecticut with his wife, Christine. All three of his children followed in their father's footsteps and attended the University of Notre Dame. Both of his sons, Mike Jr. and Jake, played football and his daughter was on the swimming team for the Irish. His son, Mike Jr. signed with the Pittsburgh Steelers as an undrafted free agent in the 2013 NFL Draft. Mike Golic Salary: As of 2015 Mike's annual ESPN salary was $4 million. As of 2019, he earned $6 million per year.